Today we just had a short walk into Kent, probably the cleanest trail town we’ve been to. We got 2 care packages today! My sister sent us homemade cookies, candy, jerky, and more. Thanks Mo! And Amy sent us laundry soap, bacon bits, almond butter, hair ties and other necessities. I can tell she’s spent some time on the trail, thanks Amy! Later on my cousin Cory and his wife Erica drove out to have dinner with us in town. We had a really nice time, and enjoyed the luxuries of a town day. 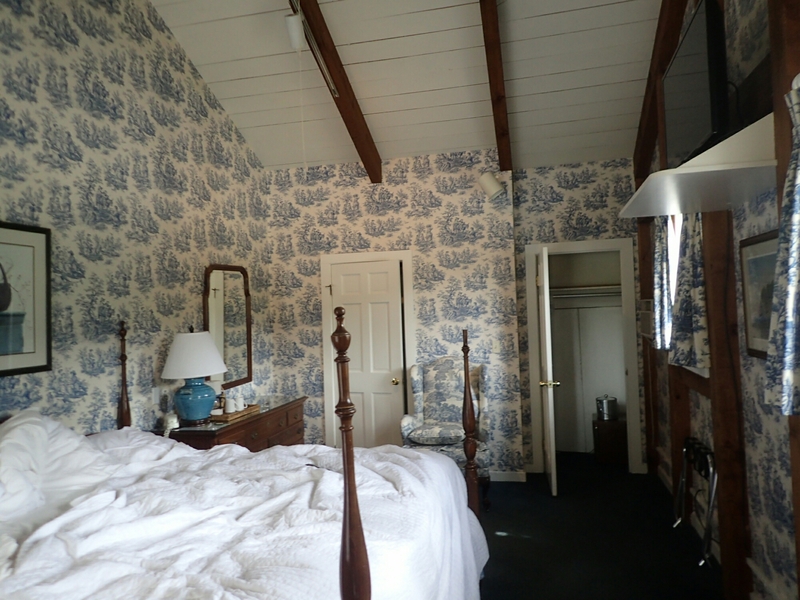 Cute room…love the out of the way places ! Love you guys .